It is so nice to see them grow day by day. 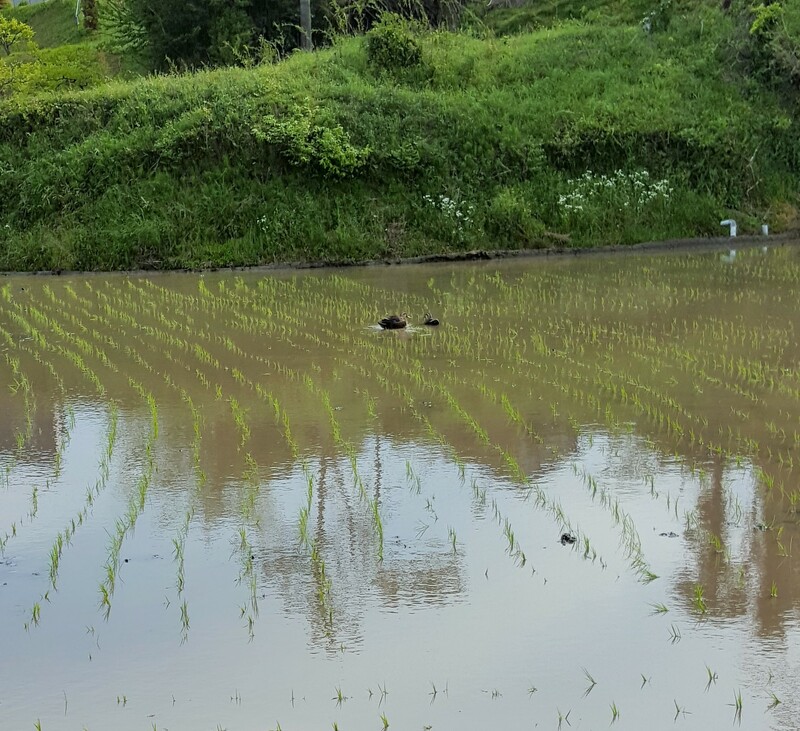 Mei-Shun is so happy to see many birds including this wild duck couple. 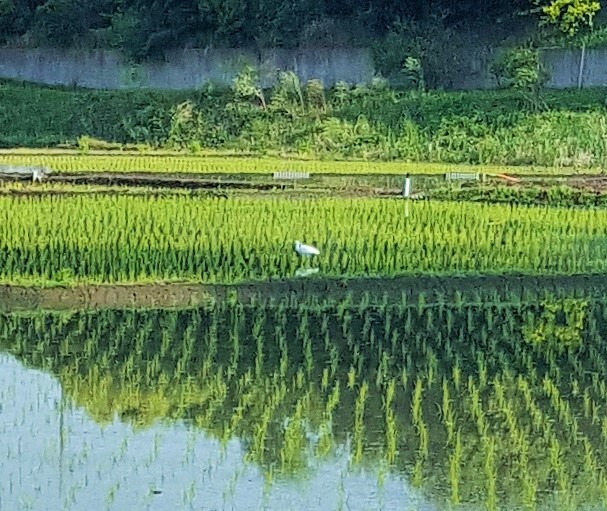 Or a mother and a child, bigger one was waiting for the other slimmer flying across the lane between rice paddy to slide onto water. You finally meet, congratulations. And Ms. (or Mr.) White, nice to see you here. We cannot recognize you crouching among grown-up greens.